Aikatsu! – 52 | Mezashite! I think she’s the best one. I’m so looking forward to some clothes-making idols. Hi, sorry, but the fonts ont he aforism are msising, could you fix that? 🙂 Love your work. Did you get v2? I’m pretty sure I muxed everything in there the second time. 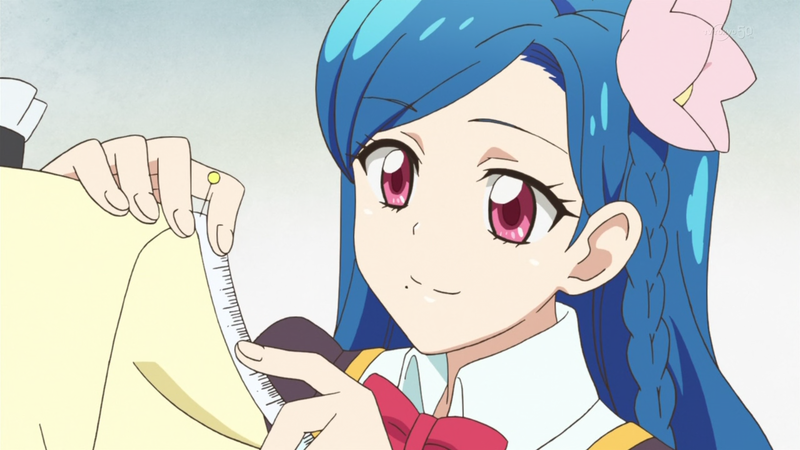 On the data screen, Aoi’s birthday is January 31, but in English it is January 1. Damn, I thought I got all those errors. Thanks. I pretty much watched all the way to episode 50 in around 3 days. Must say, I had the ride of my life. Totally following this series, thanks for the release.